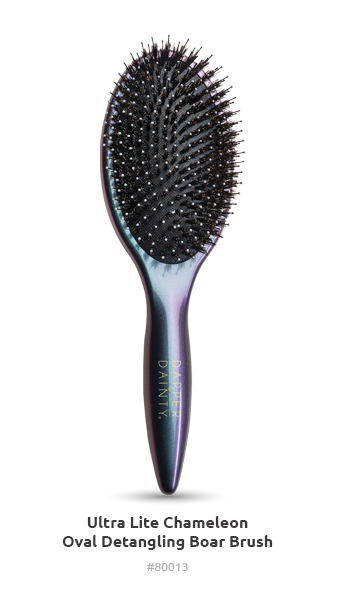 Any hair type and length can enjoy snag-free styling, leaving hair smooth and ready for the day. 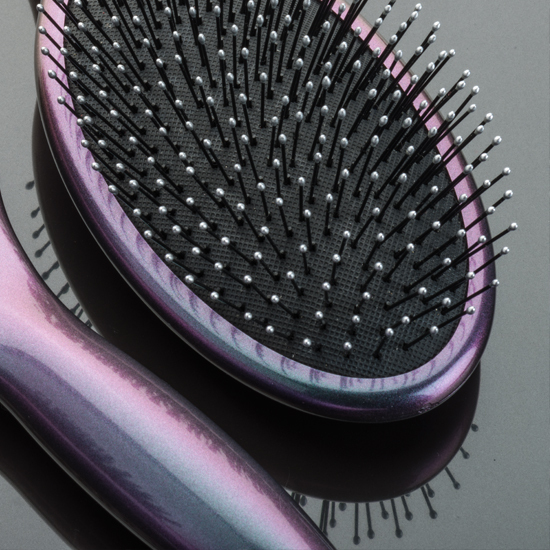 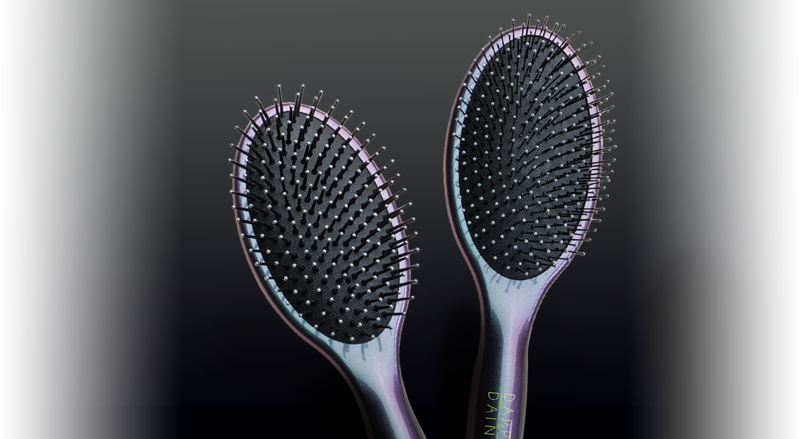 Ball-tipped bristles accompanied with a flexible soft cushion provide a relaxing scalp massage. These super lightweight hollowed handles and sleek slim bodies allow for styling without fatigue. 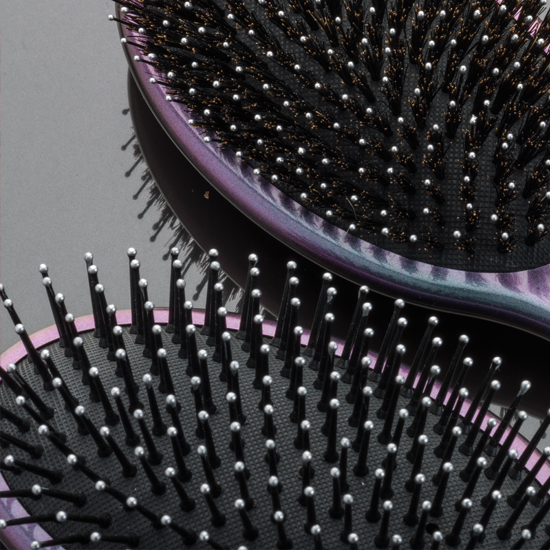 These head turning chameleon designs change color depending on the angle you hold them.